Every year gamers are treated to a very familiar lineup of games for the holiday season. This year Activision decided to shake things up a bit. First they announced the latest Call of Duty installment from developer Treyarch would arrive without a single player campaign. Then they announced that Call of Duty: Black Ops 4 would be releasing a month earlier than normal. And finally they announced no shooter would exist without a challenge from the money backed behemoth. Watch out Fortnite, Black Ops 4 has a Battle Royale mode. Available on Playstation 4, Xbox One, and PC Call of Duty: Black Ops 4 ditches single player for a full multiplayer experience. Does it work? Activision still understands blockbuster video games and the fans of said blockbuster video games. They still know how to put the pressure on developers to make sure the games look good. Call of Duty: Black Ops 4 is confidently the best looking Call of Duty game of all time. It’s especially impressive because the whole game is online. Unlike previous games there are no scripted moments to use super high fidelity cgi on and then revert to in game. Replicating locations and battlefields from previous games in better quality makes the nostalgia feel justified. Seeing all of this big money quality pushed into a battle royale made even more of an impact. Up until now most Battle Royale’s looked like games in development. Black Ops 4 is the first game with a battle royale that looks complete. Doesn’t exist. Get over it. It’s sad but just move on. Seriously though, the lack of a true single player campaign is a bit of a bummer. Instead the team at Treyarch included a set of tutorials that feel like the independent special op missions from Call of Duty Modern Warfare 2. 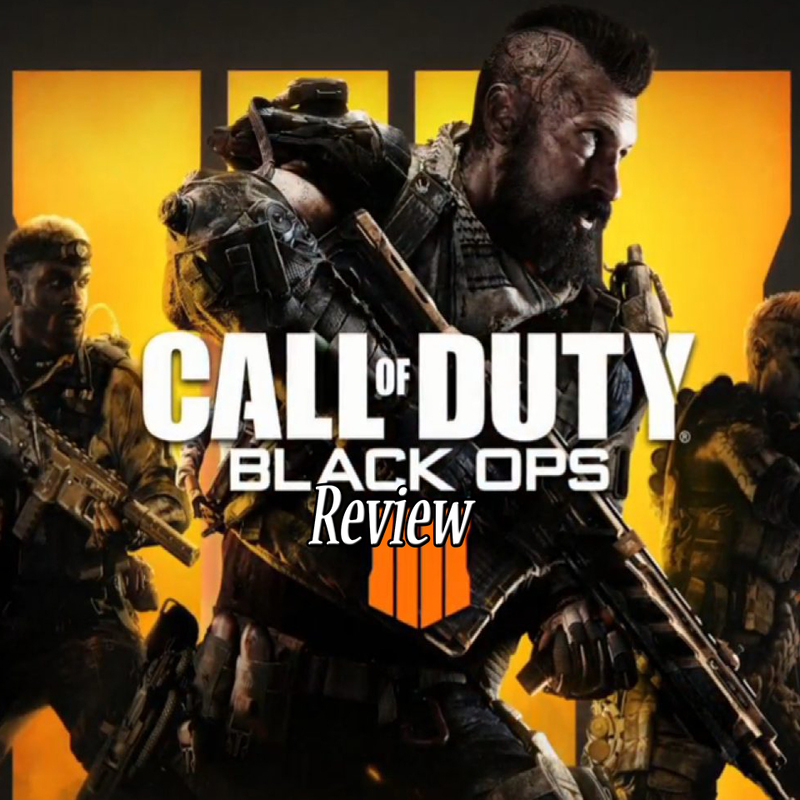 It’s a fun experience for anyone who gives it a try but it doesn’t really provide any reason for anyone who’s ever played Call of Duty before to dive in. The Zombies mode also provides a little bit of plot for those really in need but it’s of the same quirky variety as past games. Maybe next time they’ll be kind enough to include some true single player content. Sound design has always been a weak point for the Call of Duty franchise. Even with the best voice actors and top notch musicians, sound has always felt like an after thought. Black Ops 4 is an exception to the run with very little to brag about. The lack of a single player campaign makes it so the focus of sound design was about creating ambience in multiplayer maps. That was done extremely well making certain perks all the more useful. It also translated well to the zombies mode allowing for certain areas to feel scary enough to add a new layer to the mode. Now the dark corridors provide a slight intensity. The voice acting was decent in the areas where it made sense. It’s hard to tell how good it was though because zombie mode dialogue has always been cheesy. The Black Ops series has been a major fan favorite in the franchise and with the latest installment it’s super easy to see why. Despite not adding a ton of new mechanics to the game, the team at Treyarch added just enough. Reusing maps from previous games would be awful under most conditions, however in Black Ops 4 it’s great. Not only because of the updated graphics but also because of different weapons, perks, and equipments. Using a fully powered nine-bang has significantly more impact than a standard flash bang. That difference represents entirely new tactics for playing fan favorite maps in 4k. Call of Duty doesn’t sacrifice anything its great at to make space for anything new. Even the battle royale mode feels completely polished and fresh. It’s everything a certain other super serious battle royale wanted to be. Oh, and there are zombies in battle royale. Call of Duty returns to the forefront of online military warfare. It avoids sending any soldiers to the single player battle where it’s already lost to all the other great titles this year. Precisely aiming its sights at any competition that thinks it stands a chance against the unmatched wallet of Activision. Call of Duty: Black Ops 4 delivers everything the core fans of the series expect plus more. Even if thats at the expense of the casuals who just wanted a single player military based story campaign to play through.